The new FCC chairman, Ajit Pai, is committed to killing net neutrality. What will that mean in practice for internet service providers, content providers and consumers? 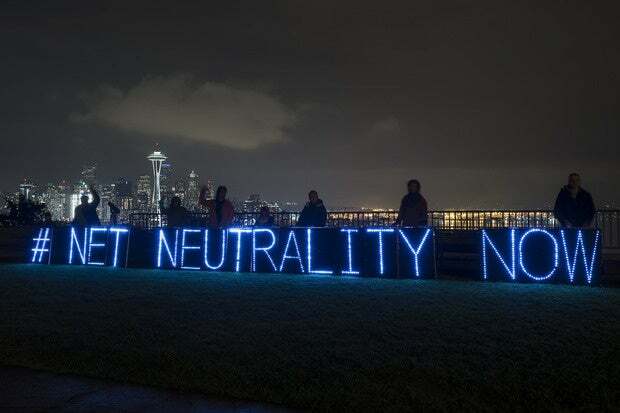 The concept of net neutrality holds that telecom carriers may not treat some content differently than other content, depending on who owns it, for example. The idea’s merits have been hotly debated for years, eventually coming to serve as a technological/ideological litmus test. Liberals, typically, favored the concept, believing it is necessary to ensure equal, unfettered access to all kinds of online content. Conservatives mostly disagreed with it, claiming it unfairly and unnecessarily regulated telecom carriers. Late in the Obama administration, net neutrality was codified into policy. But the new chairman of the Federal Communications Comission, Ajit Pai, a former lawyer for Verizon, is an ardent opponent of net neutrality. With the support of the Trump administration and Republican Congress, Pai has already ended enforcement of the rules and is widely expected to scuttle the entire policy as soon as possible. What happens after net neutrality ends? So-called zero-rating services will likely proliferate. Zero-rating services are services carriers allow users to access without them counting against their data usage charges or caps. For example, Verizon lets users stream Go90 content, and AT&T does the same for DirecTV Now. That may be great for AT&T users who want to watch DirectTV but not so great for Verizon customers with similar tastes. Winners include the big mobile data and internet service providers such as AT&T and Verizon—and to a lesser extent T-Mobile and Sprint. These giant companies can use their zero-rated services as competitive differentiators, as well as generate revenue by charging content providers for preferential treatment (faster speeds and more reliable throughput). Small ISPs will suffer. In 2015, Dane Jasper, CEO and co-founder of California-based ISP Sonic, explained it to me this way: “When you have failed competitive market, with just one or two choices, you have an effective monopoly," which leads to higher prices and “shockingly bad customer service.” The end of net neutrality can be expected to consolidate power in the hands of the largest carriers. Big online content providers will see mixed signals. On the one hnad, they have the audience and the cash to cut deals with the big carriers. That will put them in advantageous positions versus content providers that can’t afford to pay for better carriage. On the other hand, though, it could end up costing them significant cash to keep those carriers happy. Small internet content providers—especially non-commercial ones—will be the big losers. Unless they can pay for preferential treatment or zero-rating, they will be more expensive, less performant options compared to their competition. It will be harder for new services to break into the market, since they may not perform as seamlessly as entrenched incumbents affiliated with the big carriers. Disagree with my assessments? No worries, we’ll all find out soon enough.